Great news, dear ladies and gentlemen! We have a new member in the SalonExpo family! Please welcome the VI Conference of the Polish Ski and Tourism Resorts – by Supersnow! Between the 2nd-4th of June 2014 in Białka Tatrzańska, at the Hotel Bania Termal&Ski**** the VI Conference of the Polish Ski and Tourism Resorts will be held. This annual event is a gathering of everyone who is strictly involved with the theme of snow, winter sports and ski resort equipment. The event will showcase many presentations, discussions and debates with a focus on presenting the latest trends, challenges and future aims of the industry. The conference will be combined with a small Polish expo, where Supersnow will present their products. 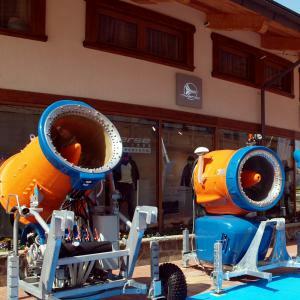 Supersnow is one of the five leading manufacturers of complete snowmaking systems. We look forward to welcoming you at the conference and becoming acquainted with Supersnow products (www.supersnow.eu).